A marathon of staged readings a three course meal and guided discussions about Anarchy, social justice and love. The H.E.A.T Collective launches a day of festivity and commemoration of Emma Goldman’s trilogy that covers four decades of her life from 1900’s to 1940’s. Written by Jessica Litwak, Emma’s trilogy celebrates a life full of love, passion, mystery, revolution and deep self-debate between life and death. This fresh take on Emma Goldman’s examination allows the audience to be emerged into a vibrant world of revolution and passion; sharing ideas among a multi-cultural and multi-generational community. Love Anarchy and Other Affairs,1901 Followed by an active discussion on reproductive rights with tea and Russian cookies. The Snake and The Falcon, 1919 Followed by an active discussion on immigration laws with soup and bread. Nobody is Sleeping, 1936 Followed by an active discussion on Art and revolution, linking the past with the present with Spanish wine and Russian Vodka. 3:30 Active discussion on reproductive rights with tea and Russian cookies. 6:00 Active discussion on immigration laws with soup and bread. 8:30 Active discussion on Art and revolution, linking the past with the present with Spanish wine and Russian Vodka. 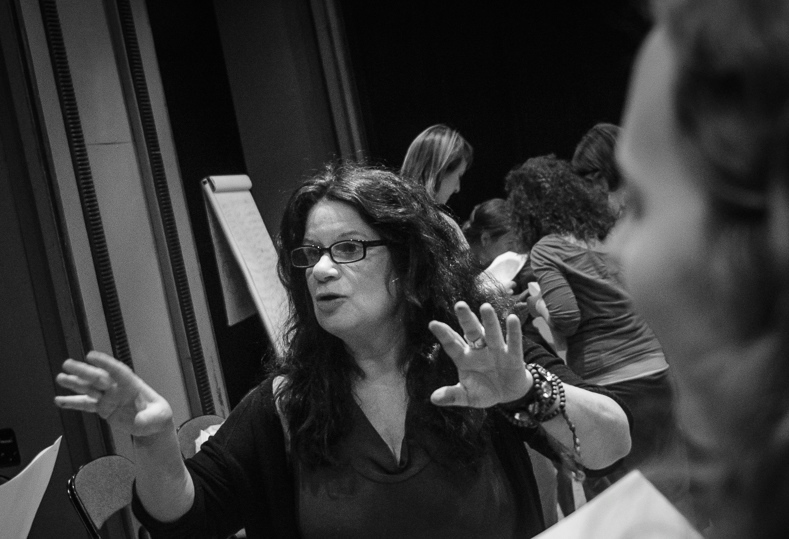 Applied Theatre Workshop and Public Talk: Theatre as a Vehicle for Personal and Social Change. An exploration of a new version of the play at La MaMa ETC.